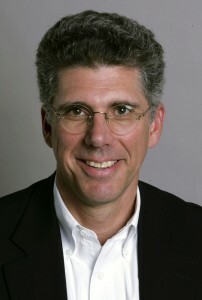 Daniel M. Ambrose launched ambro.com, corp. in 1994 to provide sophisticated strategy consulting and Advertising Sales Training to advertising driven media clients in the U.S. and abroad. Starting with the founding of About.com and iVillage in 1995, Ambrose has worked with hundreds of clients to create successful plans and help accelerate advertising revenue growth. Ambrose works with the management of media companies to customize training to precisely serve the needs of sales staffs selling local or national Internet, television or print media. 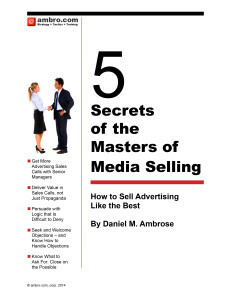 In late 2008, Ambrose’s popularity and experience lead Media Industry Newsletter to partner with him to publish the Internet Sales Guidebook: Selling, Managing and Marketing Web 3.0 Media Brands. Ambrose is especially known among clients for being able earn the respect of even the most hard-bitten experienced sales staffs, helping them to learn new approaches to increase success. Ambrose’s approach works well for a broad range of sales people because it’s not about developing an overpowering personality — like some trainers — but about using the principles of human interaction and persuasion to get the client to open up, talk, listen and buy. Before establishing the ambro.com, Ambrose was Vice President and Publisher of Child Magazine at the New York Times Company. Ambrose led Child to be named in Adweek’s “10 Hottest Magazines,” two consecutive years. He also spearheaded an initiative to make Child the first major consumer magazine to selectively deliver individually-customized editorial content. Previous to working for Child, Ambrose was Advertising Sales Director of Cahners Consumer Magazines (and TV) Division where he managed ad sales in Healthy Kids magazines, and American Baby Sampling and Couponing programs. At Cahners Ambrose helped launch the Healthy Kids TV Show, which sold-out before the launch and was profitable from the first year in production. He also conceived and sold American Baby’s Discovering the First Year of Life, a one-hour cable special. Ambrose entered the parenting publishing arena by founding Fathers Magazine with partners Reed Phillips and Duncan Spencer. Fathers was a much lauded start up, but suffered from funding shortages triggered by the stock market crash of 1987. From 1983 until 1987 Ambrose served in several executive management positions at Hearst Magazines Division, first at House Beautiful, and finally as Director of Corporate Advertising. As director he led marketing, sales and administrative management to multi-magazine advertising packages for Hearst’s largest and most important clients, running approximately 3,500 advertising pages annually. Ambrose was also involved in the creation of the first “Electronic Rate Card,” on “floppy” computer disk, which was used by advertising media planners to instantly price Hearst Magazine packages. Ambrose joined Hearst from Ziff Davis where he was Advertising Director of Backpacker, and SkiXC magazines and where he was trained in the classic Ziff Davis structured selling method. Ambrose began his media career at The Washington Monthly a small but influential public affairs magazine. He served as Advertising Manager and Advertising Director of American Film magazine at The American Film Institute for four years where he quadrupled advertising pages and increased revenue 10 times. He graduated from Lewis & Clark College with a degree in Political Science and minor in Natural Science. In addition to consulting and training, Ambrose serves on the Boards of Directors of the Guard Publishing Company and leads the Axemen Athletics Hall of Fame fundraising for his alma mater South Eugene High School.